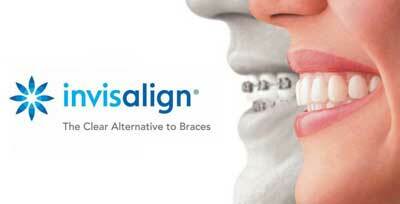 At Evesham Place Dental based in Stratford-upon-Avon we offer Invisalign and ClearCorrect clear brace systems. Invisalign and ClearCorrect move your teeth by progressing through a series of clear, almost invisible braces (known as ‘aligners’)which you wear for approximately 22 hours per day. The major benefit to the clear brace systems over the metal ‘train track’ braces, are that you can take them out to enjoy your food and can properly clean your teeth. Each clear brace or aligner has its own built in prescription to move your teeth and is changed to a new aligner approximately every 1 to 2 weeks. If you are interested in finding out more about our clear brace systems, please contact reception and request an orthodontic consultation with Katharine. During the consultation, Katharine will listen to your concerns regarding the position of your teeth, assess your suitability for the clear brace systems and discuss your potential treatment in full. She will also show you examples of the clear braces. This appointment is followed up by a written estimate and details discussed during the consultation. Before you decide to commence treatment, both Invisalign and ClearCorrect provide a computersied 3D animated treatment plan showing your teeth before, during and after treatment. This is a highly useful and interactive tool which allows you and Katharine to plan and control your treatment and desired end results very carefully before you start. Does Invisalign or ClearCorrect hurt? It is normal to expect a bit of discomfort when commencing treatment and upon changing on to a new aligner for a day or so. This gets less noticeable as you progress through your aligners. Do I have to remove the aligners to eat and drink? You’re able to drink cool water with your aligners in, otherwise you must remove your aligners to eat and drink. This can vary a great deal depending on the simplicity or complexity of your case. Minor tooth movements can be achieved within 3 months but most cases take approximately 9 months. What stages are involved in getting started? We begin with a consultation as detailed above. Should you choose to go ahead, the second stage is for record taking where Katharine will take impressions and photographs of your upper and lower teeth. Invisalign or ClearCorrect can them provide us with a 3D animated treatment plan showing us the end result and how we can expect your teeth to move. We can interact with this treatment plan and make any necessary changes. Once we are happy with the plan we will request that your bespoke aligners are manufactured. 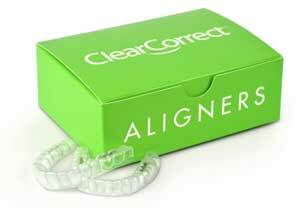 Manufacturing your aligners usually takes place within 1-2 weeks. The following appointment is to fit your first aligner and provide you with detailed verbal and written instructions. How often do I need to visit the dentist once I've started? Katharine would normally see you approximately every 4-6 weeks, or more frequently if you prefer, to check your aligners fit well, provide you with new aligners and ensure your teeth are moving as predicted and your mouth is remaining healthy.